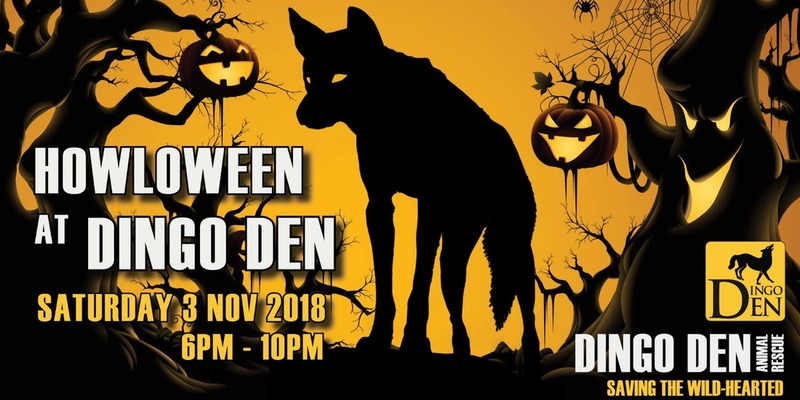 Our Howloween Fundraiser is a fun evening with ghoulish games and haunted howls at our dingo sanctuary located in Penrith! A catered event with Howl-oween-themed food and drinks, guests are invited to dress in costume and celebrate the evening with us. Best dressed will win a prize! The humans won't be the only ones dressing up - our adorable dingoes will be ready for trick or treating too! Everyone will get the chance to have professional photos taken with our haunted hounds and enjoy the festivities and information sessions. This exclusive event has limited spaces so be quick to register! Use the form below to register yourself and your guests. Once you're registered, we will confirm your spot. Event details will be released closer to the date, but please note that Howloween is an annual event that takes place in late October/ early November, and the date is TBA. On the night you can pay for your reserved tickets at the door. Please note it will be a cash payment only (eftpos not available). All proceeds will support our rescue service and help save dingoes in need! Thank you for helping us save the wild-hearted!